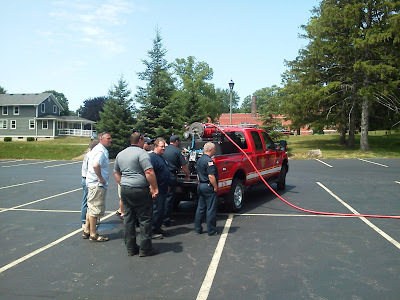 Today at 3PM the Penfield Fire District placed into service the new Grass Fire 376 - a Ford 350 with a 200 gallon tank of water, plus an additional 10 gallons of class A foam, and a Darley 230 GPM pump in the back. 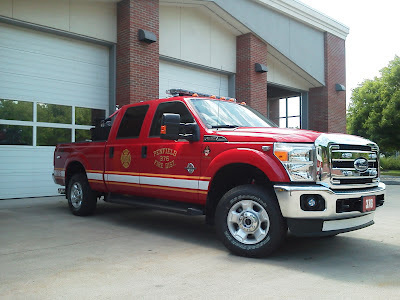 This truck replaces the 1980 Chevy Attack 376 which was retired recently. This grass fire truck is an excellent addition to the fleet of apparatus due to its lighter weight and off road capabilities making it easier to reach brush fires that have limited accessibility from a road way. 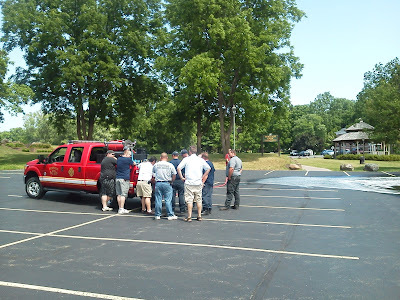 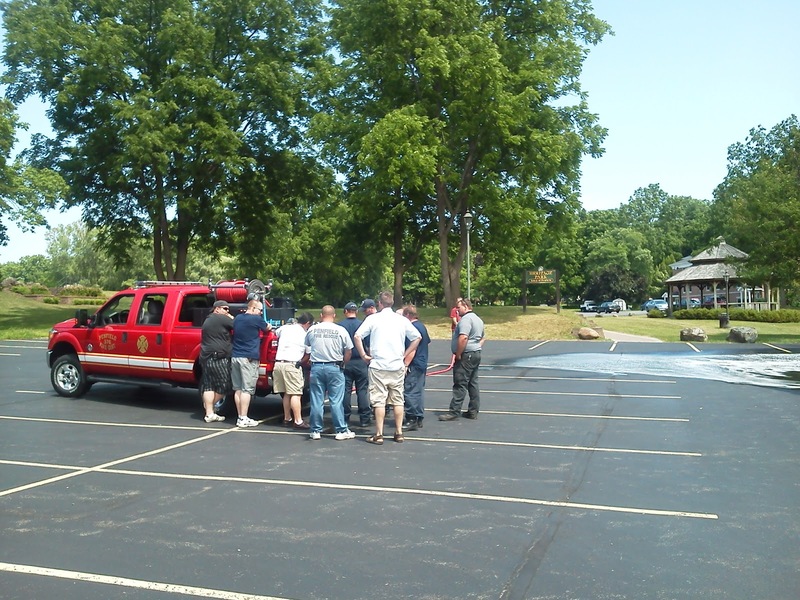 Pictured below are members who volunteered there time to receive training on the new truck.